Stress evident at concrete slab, brand new home. Brand new slab already fractured. Again: slab cracked within a week of pouring. A/C ductwork needs to be rerouted. Garage door safety sensors are missing. Hot water heater (fairly new) P/T valve is heavily corroded. 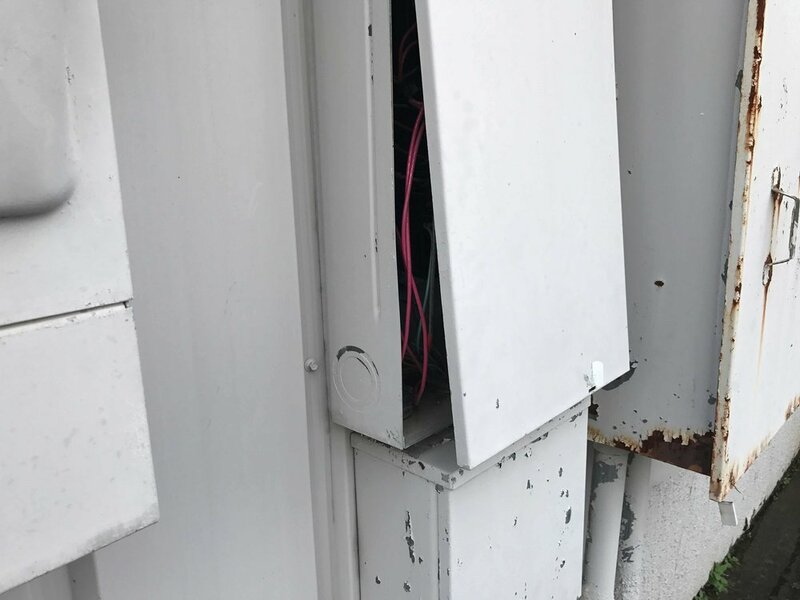 FPE electrical panels should be replaced due to fire hazard. FPE panels are known to have faulty breakers. Ceiling tiles have been stained by water leaks. 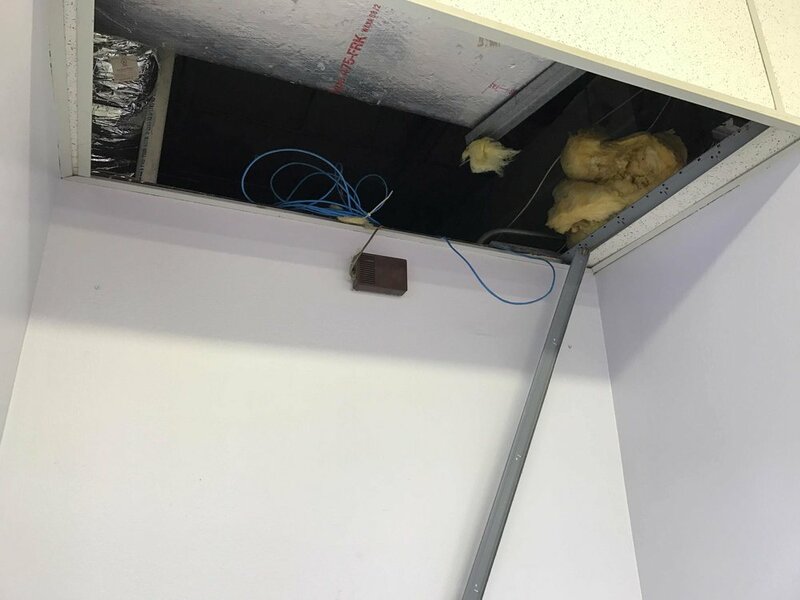 Restroom exhaust fan is not hooked to the vent. A/C unit on interior is leaking. Exterior water main is extremely corroded. 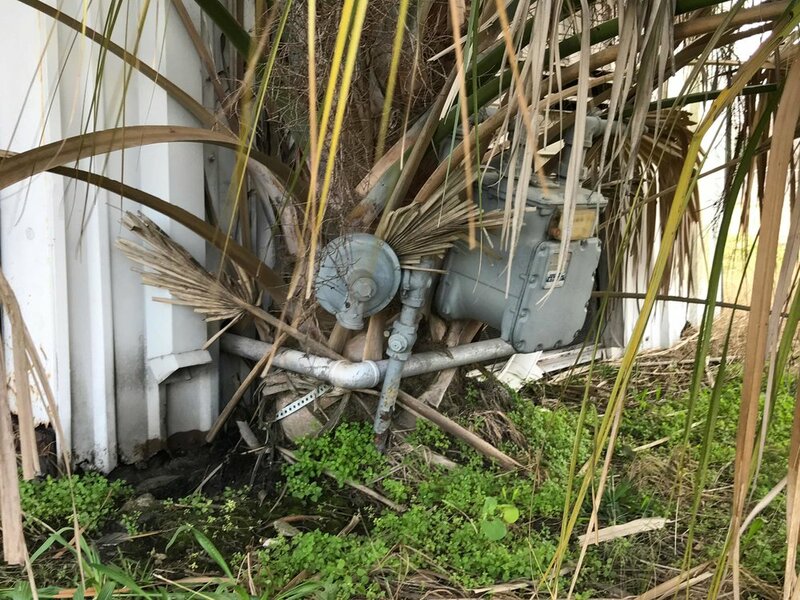 Gas meter in contact with palm tree.